Hurricane Maria devastated the U.S. territory of Puerto Rico, leaving millions of American citizens without access to clean water, power, housing, and food. Unfortunately, Congress has not done enough to help those in need. To adequately address this crisis, Congress should quickly provide funding for additional disaster relief to Puerto Rico so the 3.4 million Americans affected can meet their immediate needs and rebuild their lives. As your constituent, I am writing to express my grave concern about the humanitarian crisis facing Puerto Rico in the wake of the devastation left by Hurricane Maria. Congress has not done enough to respond to this crisis. 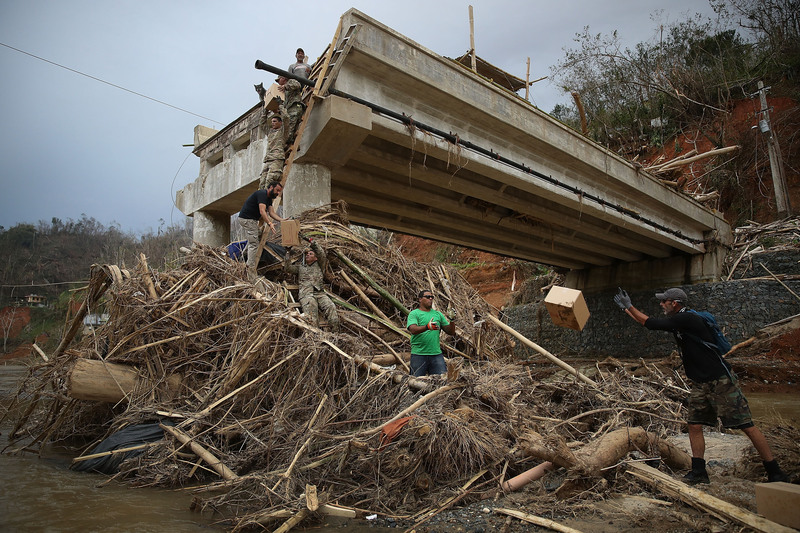 First and foremost, Congress must allocate disaster relief funding specifically for Puerto Rico. The financial impact of Hurricane Maria is estimated at around $100 billion dollars, pushing Puerto Rico to the financial breaking point. As our fellow American citizens are in desperate need of oil, food, clothing, medicines, and building supplies, disaster relief funding would at least temporarily lessen the burden and ensure access to goods that are needed for short-term subsistence as well as longer-term reconstruction. In addition, Congress should increase funding for programs that will rebuild Puerto Rico’s healthcare facilities, public schools, and childcare programs, as well as the Earned Income Tax Credit and the Child Tax Credit that can help these American families meet their needs. Similarly, Congress should enable Puerto Rico to access funding through the Community Development Block Grant Disaster Recovery Program, which facilitates rebuilding of homes, provision of temporary housing, and mending of infrastructure. After natural disasters, there is an unfortunate tendency to destroy damaged housing units and not rebuild. In already impoverished Puerto Rico, the need for affordable housing is paramount. We cannot ignore the suffering of our fellow citizens in the aftermath of this disaster. The devastation that continues to impact the lives of the 3.4 million Americans in Puerto Rico must be addressed, and we appreciate your consideration of our views.